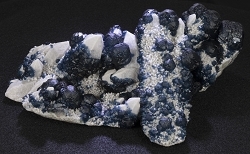 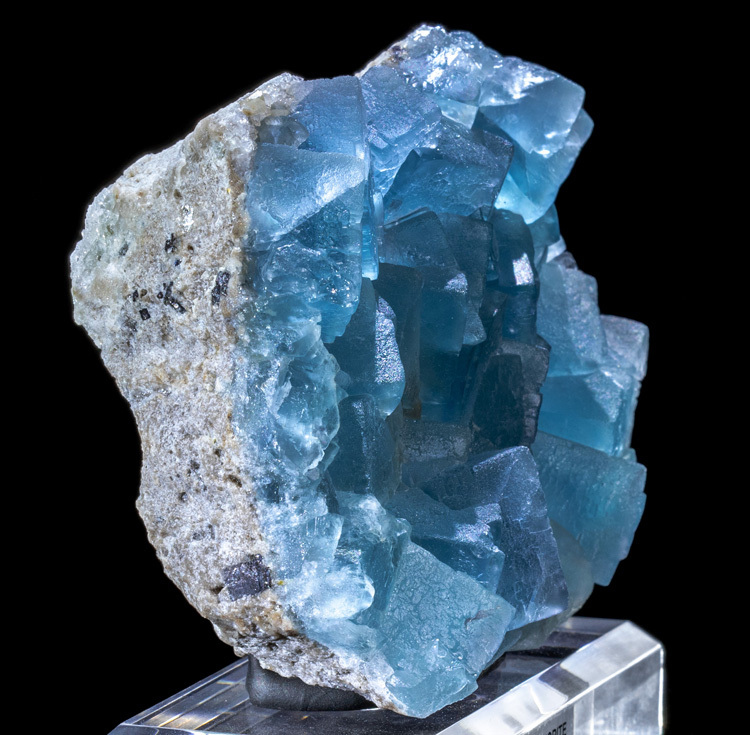 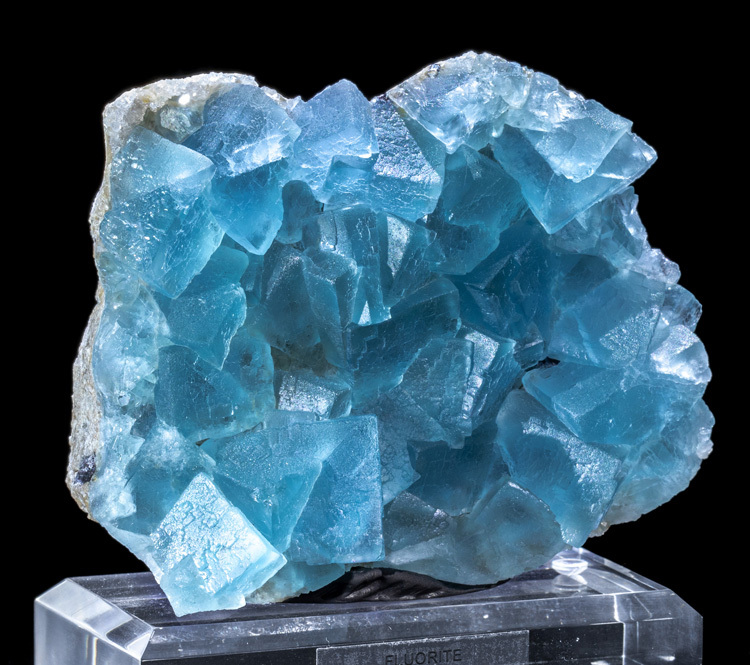 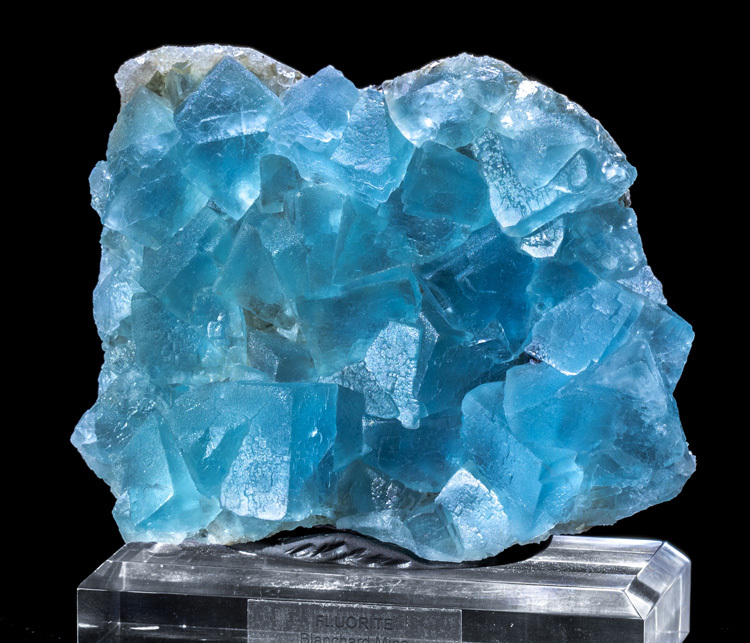 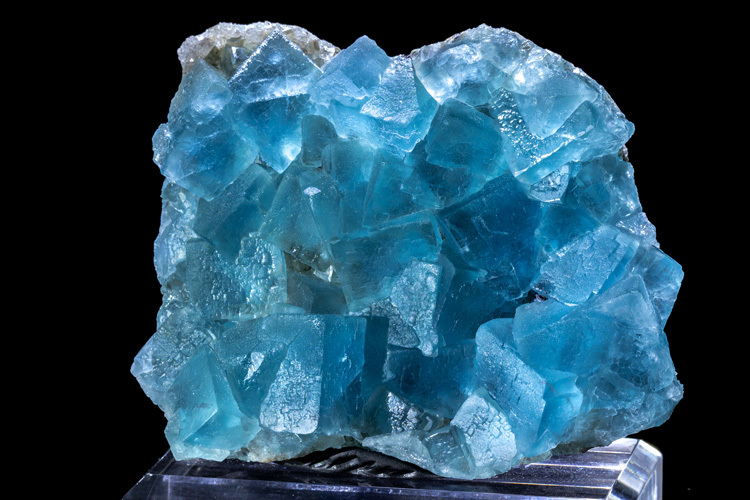 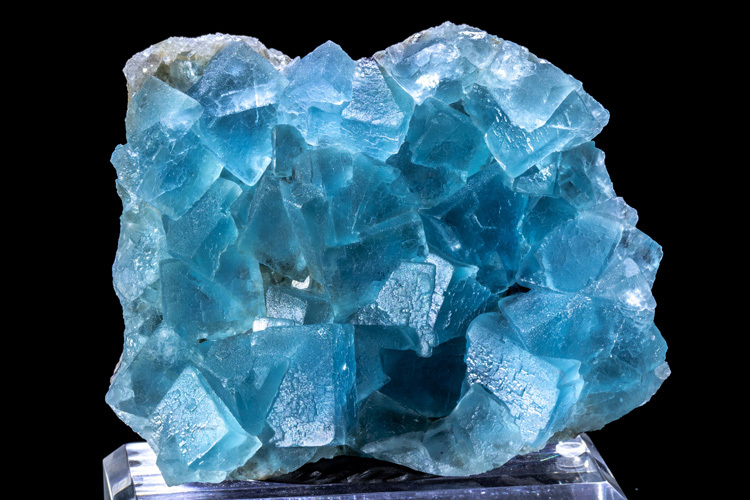 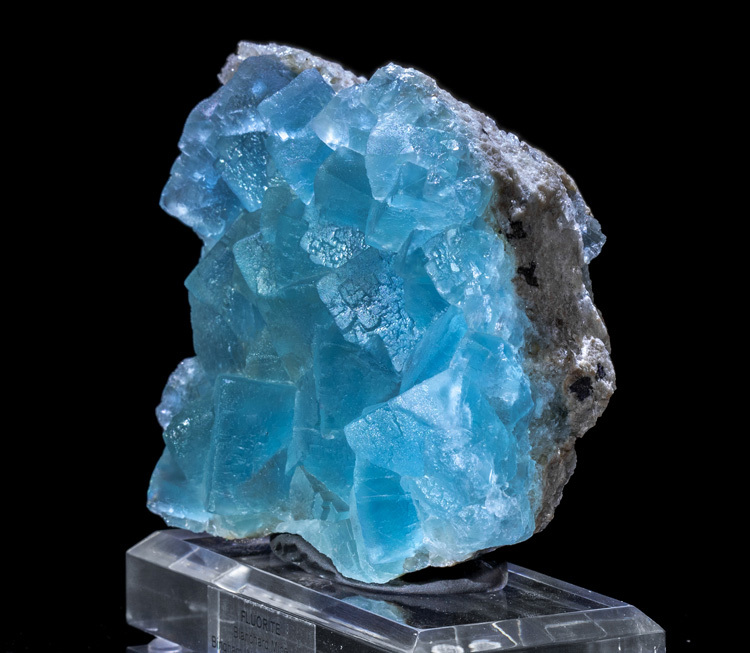 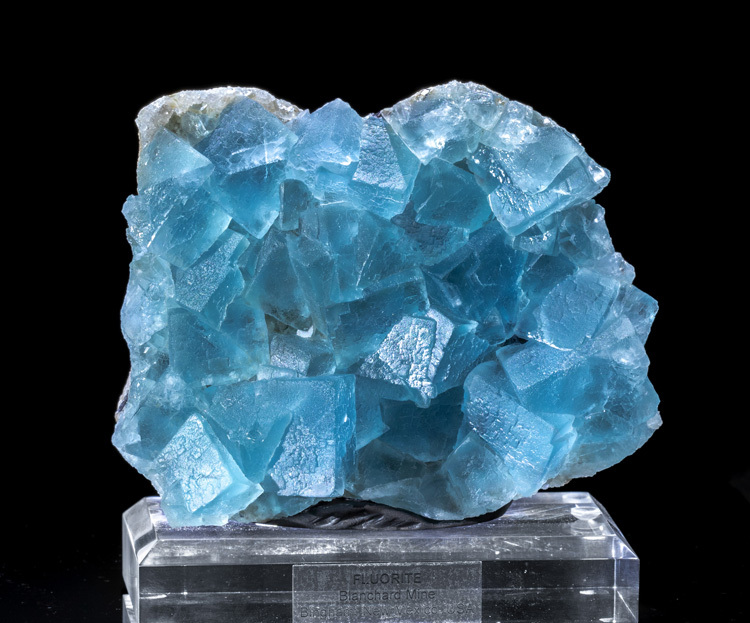 An extremely nice blue fluorite specimen from New Mexico with crystals up to 2.7cm long. 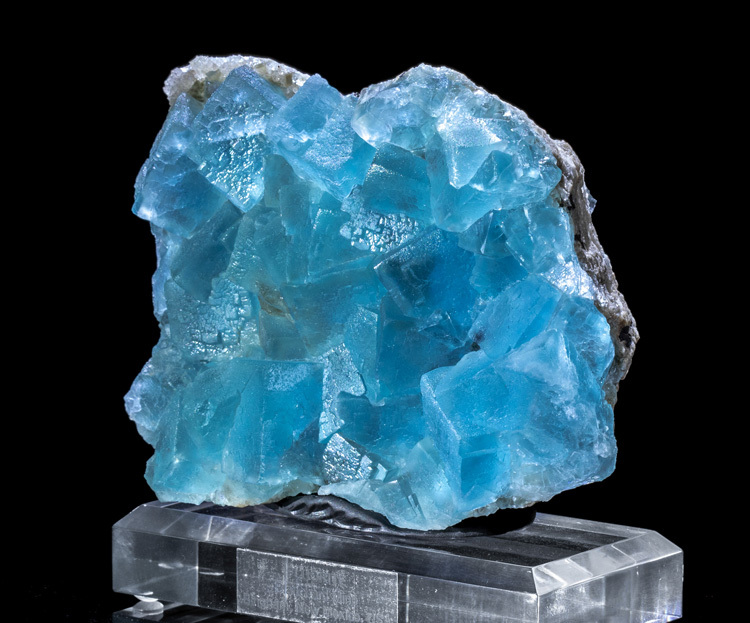 The blue color is very good and has nice translucency. 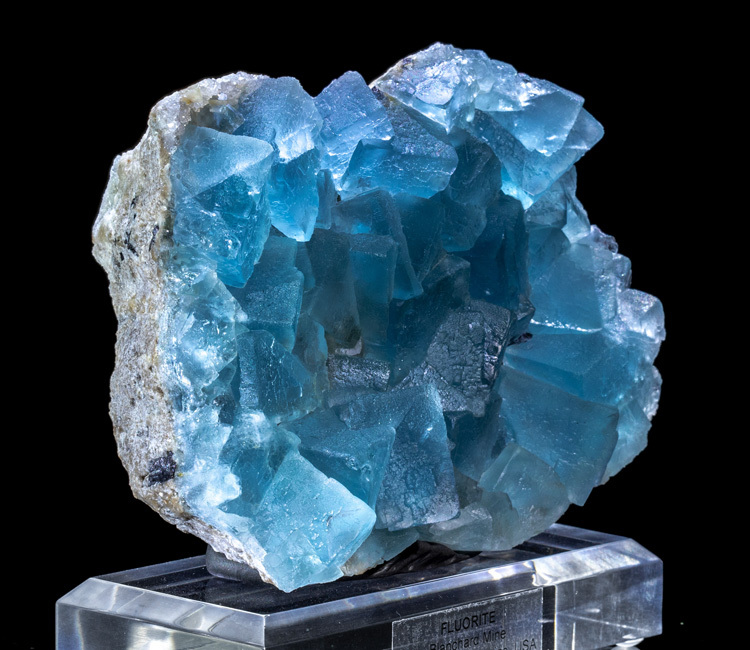 Condition is excellent with no damage to the fluorite crystals other than where the piece was trimmed around the edges. 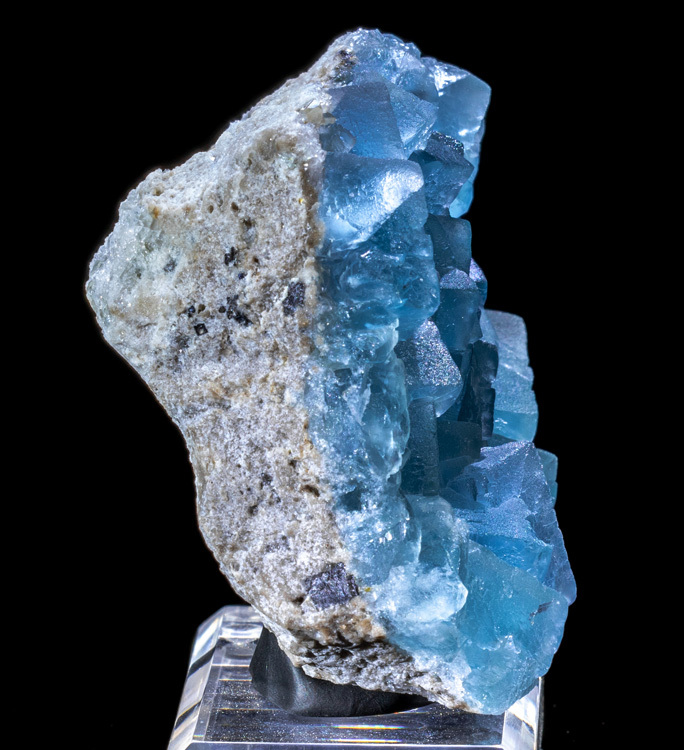 Best viewed with daylight LED lights to get the deepest blue color. 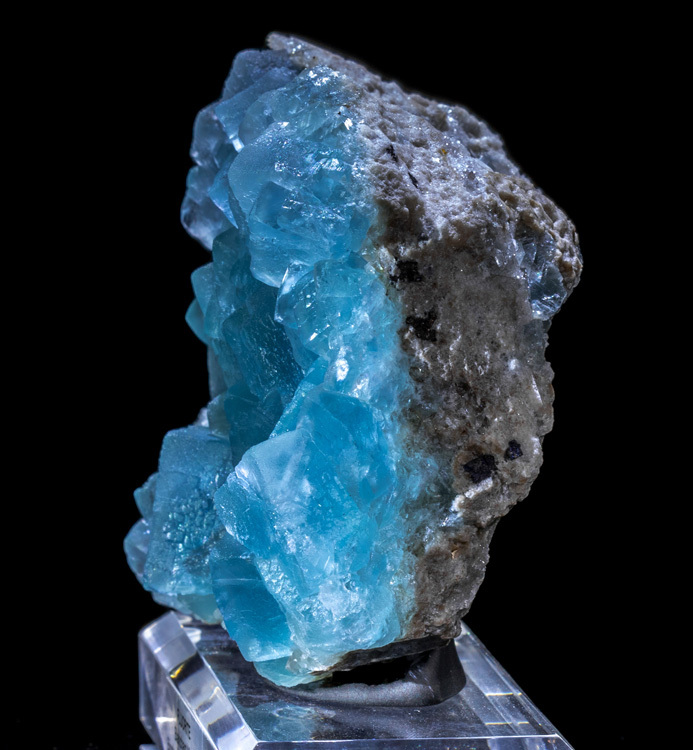 Under incandescent light the color takes on a teal hue.